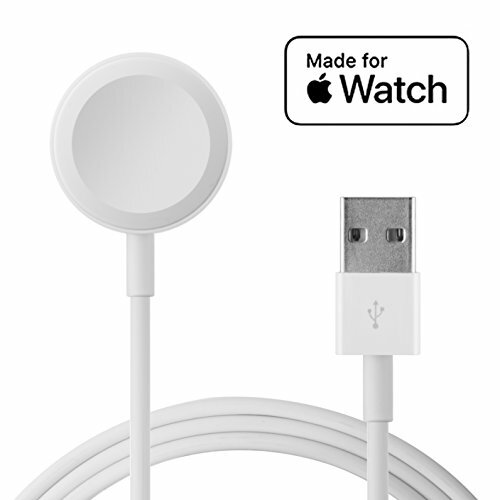 The following is description about our Apple Watch charger. Please email us or add by FaceBook: Jemma Zhaoo if you have any other concern. Note: The charger will stop charging when the watch is full-charged，your screen will tell you charging status. Apple Watch Series 2: Apple Watch, Apple Watch Nike+, Apple Watch Hermès, Apple Watch Edition. Apple Watch Series 3: Apple Watch, Apple Watch Nike+, Apple Watch Hermès, Apple Watch Edition. Convenience - Our apple watch charger is your better choice for your back up. Compatible - Yes, our apple watch charger suitable for all module of the Apple Watch series 1/2/3, 38mm & 42mm iWatch, and also your original stander will suitable for it. Easier adsorption - Bigger Dimension with Magnetic function make it easier to adsorb. Quality Assurance- You will be granted a full year warranty. Welcome to email us or contact by our FaceBook: Jemma Zhaoo with your problem. If you have any questions about this product by Ingelon, contact us by completing and submitting the form below. If you are looking for a specif part number, please include it with your message.